Historical fiction story of survival – I’m there. 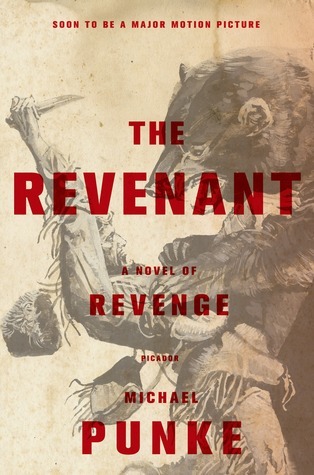 The Revenant was a quick read with a pretty simple story line: one man’s story of survival in the relentless wilderness, and the subsequent desire for revenge that fuels him to keep going. Simple is not to say unimaginative – simple is not always a bad thing. It works for this story. Punke’s style is interesting and paradoxical in that he excels in both technical detail and poetic, thoughtful language. Historical fiction writers can sometimes fall into the rabbit hole of heavy, sometimes unnecessary technical description about an object or mechanism from the past. While Punke sometimes teeters on the brink, his aim is in service of the story. The description and workings of Hugh’s beautiful and coveted Angstadt rifle, for example, is necessary because it is a symbol of Hugh’s pride that was seemingly taken from him by Fitzgerald. Hugh’s laboriously journey out of the wilderness post-attack, post-abandonment is raw and unrelenting – magnified in intensity by Punke’s succinct descriptions. One facet of Punke’s style that I was not fond of, however, was his “head-jumping”. Sometimes this technique can be used successfully, but there were a few times throughout reading The Revenant that I had to look back to make sure whose POV I was reading. I found the end to be quite anti-climactic, and I’m not sure how I feel about that. Sometimes we do have all this burning anger and desire for revenge and it quickly gets stamped out by the rules and tides of the real world. Large events in life don’t always happen so dramatically or end with a bang; but then again, this is fiction…which sometimes calls for that. But perhaps we had enough dramatics during Hugh’s journey to be content with the end? Or perhaps this fizzling end is merely illustrative in itself of how revenge feels after it’s “achieved” – empty and unsatisfactory.